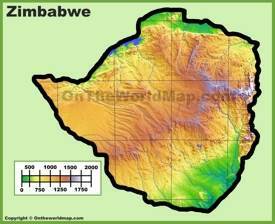 Zimbabwe is officially named the Republic of Zimbabwe. 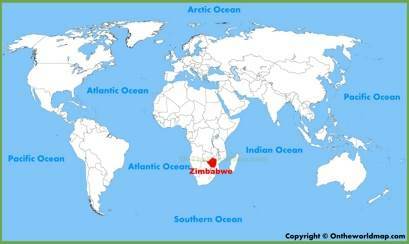 It is a country in southern Africa which is located between two rivers Limpopo and Zambezi. 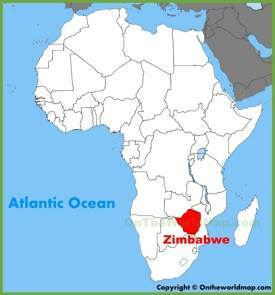 The neighbors are Mozambique in the east, South Africa in the south, Zambia in the northwest and Botswana in the west. There are 16 official languages: English, Xhosa, Venda, Tswana, Tonga, Sotho, “sign language”, Shona, Shangani, Ndebele, Ndau, Nambya, Koisan, Kalanga, Chewa and Chibarwe. 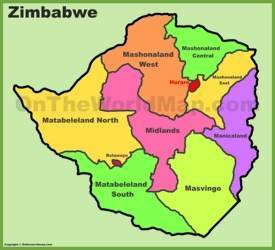 The capital and largest city is Harare. Victoria falls are located in Zimbabwe which is part of Zamberi river and one of the world’s biggest waterfalls. 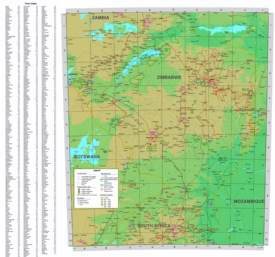 Area: 150,871 sq mi (390,757 sq km). 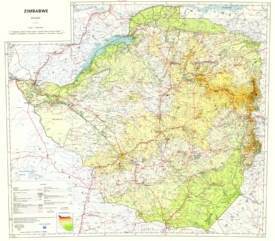 Largest cities: Harare, Bulawayo, Chitungwiza. 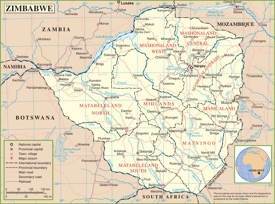 Official language: Chewa, Chibarwe, English, Kalanga, Koisan, Nambya, Ndau, Ndebele, Shangani, Shona, sign language, Sotho, Tonga, Tswana, Venda, Xhosa.